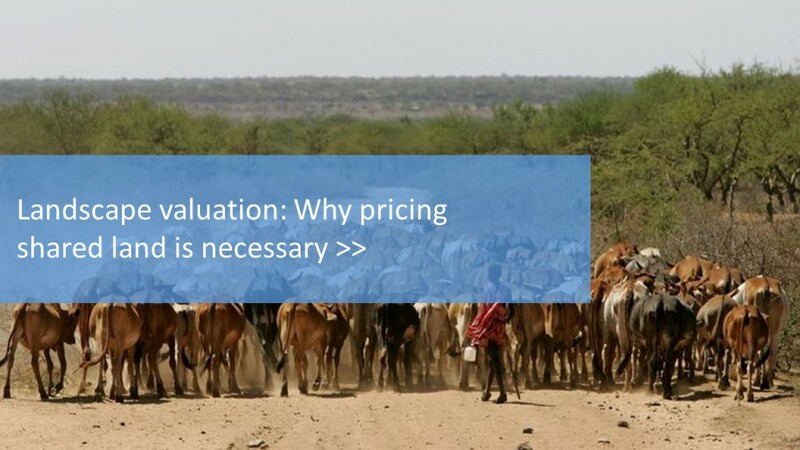 True Price conducted an innovative natural capital valuation analysis on the different land uses in the Maasai steppe, Tanzania. The region is home to pastoralist herders and is famous for its ecosystems that attract tourists worldwide but it is undergoing a drastic change. There is an increasing trend of agricultural land conversion that is leading to a loss of habitat for iconic animals and loss of grazing areas for pastoralist herders. A natural capital monetary valuation study shows that conversion of steppe into farmland will result in overall natural capital loss. If the agricultural land conversion is not slowed in the coming decades, it will result in a loss of 1.3 billion USD in terms of lost ecosystem benefits to the Tanzanian people. Ecosystem services affected include: milk, meat, tourism, raw materials, wild food and medicinal herbs, drinking water and tree products. In the short term, agricultural land conversion increases food production and productivity. 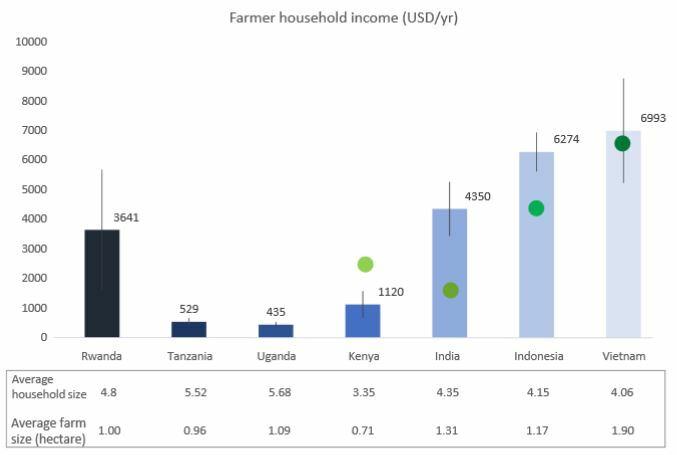 However, True Price’s research shows that in the long term this practice leads to a decline in agricultural productivity since the common form of agriculture in the region is not sustainable and land is degraded and abandoned. The following figure demonstrates the internal natural capital value of the Maasai Steppe, representing the discounted value of present and future benefits of alternative scenarios in USD. 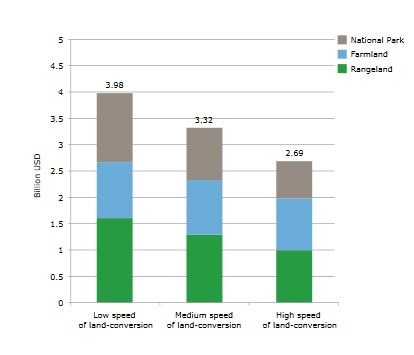 Figure 1: Value of natural capital in the Maasai steppe in 3 scenarios of land conversion from glassland to farmland. Economic benefits can be protected by slowing down the pace of land conversion from grasslands to farmland. Our livestock study with UNEP TEEB identifies options to facilitate a transtion towards more sustainable agricultural practices. A suggested mechanism to encourage this is to financially incentivise pastoralists to protect their land, to be paid for by other ecosystem beneficiaries, in the case of the steppe this is tourism operations. This economic mechanism would facilitate the internatlization of positive externalities, and gives hope to the future shared natural capital value of the Maasai steppe. It is widely known that transformation of the agri-food system is crucial to achieve the Sustainable Development Goals (SDGs). This point is stressed by the Food and Agriculture Organization (FAO) of the United Nations. The Director General, José Graziano da Silva states: ‘The SDGs are interlinked and interdependent. But SDGs 1 [poverty] and 2 [hunger] are particularly central to achieving the overall agenda. Many of the goals, such as health and education, cannot be achieved without Zero Hunger’. Hans Eenhoorn of Worldconnectors, former vice President of Unilever (Foods) and member of the United Nations Task Force on Hunger puts it as: ‘We cannot accept a world in which one billion wealthy people are getting sick from over-consumption (obesity, diabetes, cardiovascular diseases etc.) whilst simultaneously one billion people are starving from food shortages, rendering so many physically and mentally incapacitated’. Table: an overview of the food related SDG’s. The Dutch government, private sector and civil society have taken many initiatives to work towards making the food sector more sustainable. The Dutch government highlights the need to address methane emissions and obesity in a CBS report and its efforts for food security and nutrition in a recent report. The private sector has taken dozens of initiatives, as shown in a report (in Dutch) by food business association FNLI. 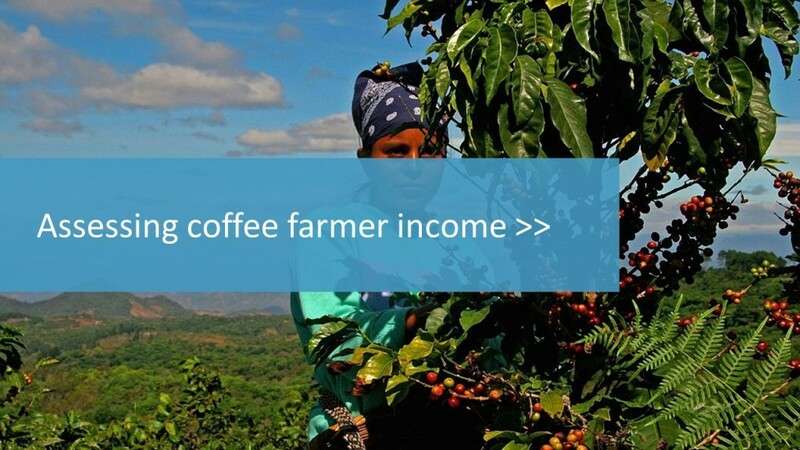 Civil society, organizations such as Hivos and Fairtrade International are working internationally to tackle hunger, poverty and agricultural sustainability, creating a Food Change Lab and Living Wage Benchmarks respectively. Whilst ambitions are high we lack a clear policy vision. This includes a roadmap, an overview of initiatives, and a clear monitoring system. The roadmap should give active food sector parties a clear idea of what actions should be taken, when and by whom. An overview of initiatives should show the gaps or successes and prevent complacency. A monitoring system should track progress and stimulate new activity where needed. A fine example of a roadmap for the energy sector for 2030 is Het Nationale Energie Akkoord. Without a policy vision, the Netherlands holds a short-sighted agenda to tackle the global food related SDGs. 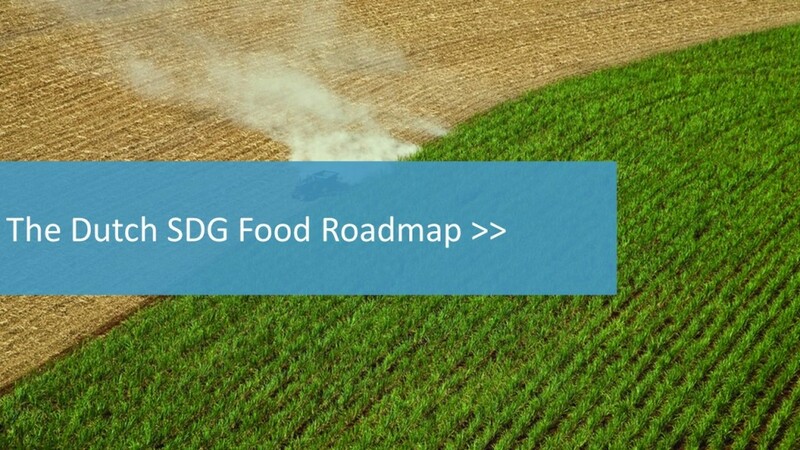 Create a profile and upload your food related initiatives on the SDG Gateway: a ‘go to’ environment where Dutch SDG initiatives can be promoted and discovered. Support initiatives or seek sector expertise, reach out to Rosalie de Bruijn through rosalie@sdgcharter.nl. Visit the Worldconnectors’ website to keep track of recent updates of de SDG Food Initiative’s activities. Although great progress is being made on sustainability in the rose sector in Kenya, worker’s wages need to double or even triple for them to sufficiently provide for themselves and their families, as suggested in the P+magazine article. 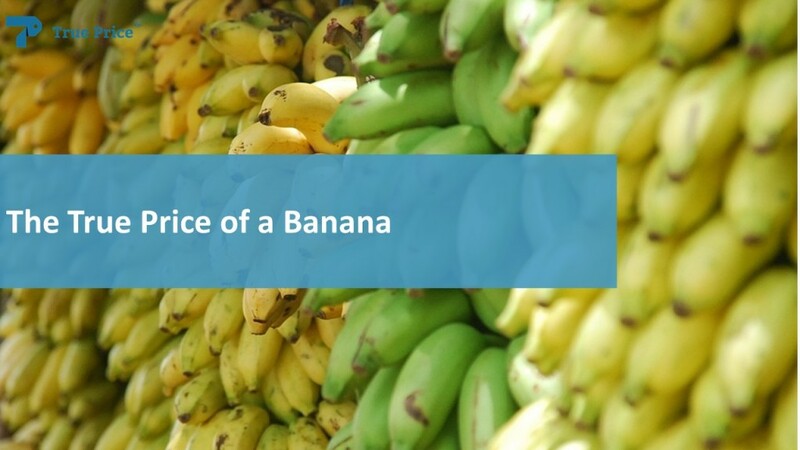 The results communicated in this article is sourced from a True Price study made in partnership with the NGO Hivos. This article also describes the vulnerability of women workers to gender discrimination and sexual violations, often trust is abused when depending on overtime and other in-kind benefits. A key CSR study cites that sexual harassment and intimidation occurs in half the Kenyan rose farms assessed. 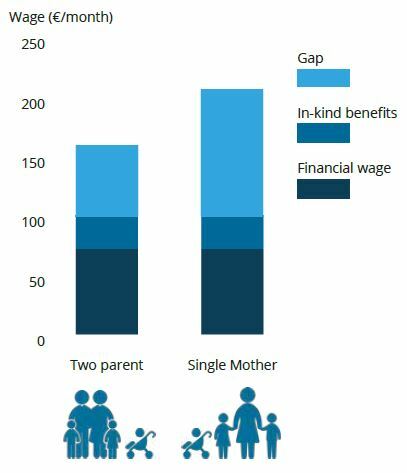 This infographic gives an impression of an actual wage and the gap to reach a living wage for single and double parent households. True Price’s Living Wage study finds that over half of women working in Kenyan Rose farms are single mothers and are the sole provider for their families. 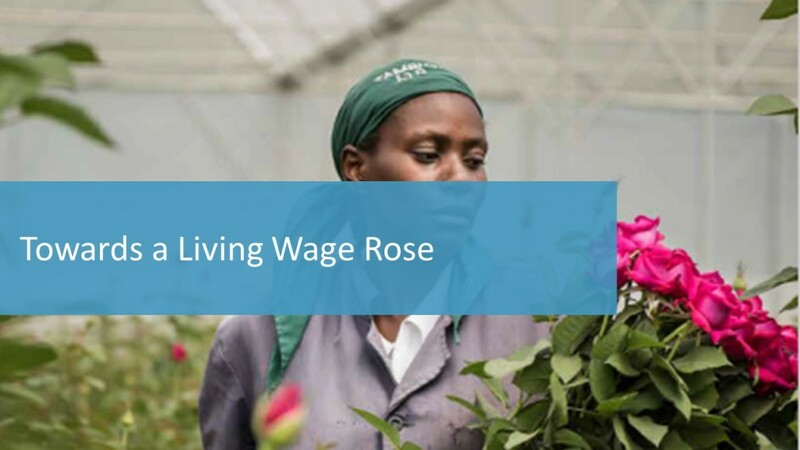 Read our report on the business case for a living wage in Kenyan rose farming. This was an assignment comissioned by the international NGO Hivos. Follow us @TruePrice to find out how else we contribute to the case for a Living Wage.